A day after Prime Minister Narendra Modi voiced concerns about high crude prices, oil cartel OPEC Tuesday said it has not failed India and other major consuming countries as it restored stability in the market after four years of downturn. Organisation of Petroleum Exporting Countries (OPEC) Secretary General Sanusi Barkindo, however, said the stability achieved in past month is being threatened by headwinds from extraneous factors like frictions between leading trading partners of the world, revisal of monetary stimuli and upward movement in interest rates. Speaking at the India Energy Forum, he said a year ago Prime Minister Modi, Oil Minister Dharmendra Pradhan and industry chieftains had "all commended the joint effort of OPEC and non-OPEC to rescue the industry from the downturn". "India, the third largest consuming country of hydrocarbon, has endorsed this collaborative effort to restore stability to the oil market and had, in addition, asked to do whatever is necessary to sustain this stability going forward," he said. Without stability, major consuming countries cannot plan let alone manage demand-supply dynamics. "We have not failed India, we have not failed major consuming countries. Our actions, decision all take into account the interest of consuming country," he said. "We have a vested interest in India continue to grow, prosper, continue to use oil in its energy mix." On Monday, Modi had voice concerns about high oil prices killing global growth at a meeting where Saudi and UAE oil ministers as also industry captains were present. India has been over the past two months battered by high crude oil prices that have sent retail petrol, diesel and LPG rates to record high, posed inflationary risks and together with a sliding rupee threatened to upset its current account deficit. Also, unrelenting fuel price rise since mid-August has negated cut in taxes and subsidy. Barkindo said the stability achieved over the past months is under threat from a combination of factors that are beyond the control of oil producers. "In the short term we are also beginning to see a rise in volatility," he said. "Yes at the moment the market is well supplied. However, these extraneous factors are beginning to make this balance look fragile. These factors are completely outside the control of OPEC and non-OPEC (oil producers)." 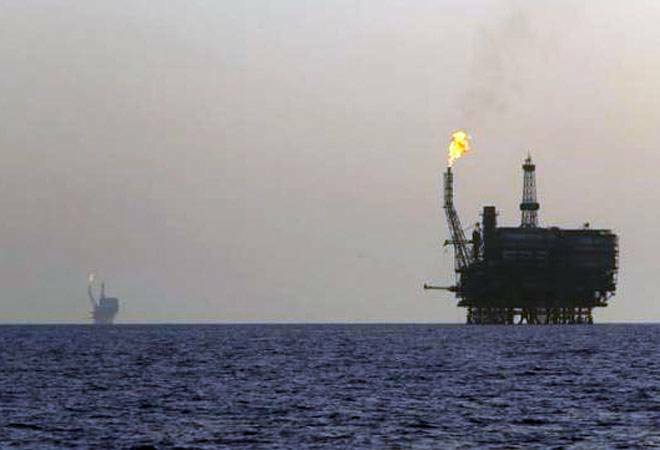 He said on Monday Saudi Arabia, the world's biggest exporter of oil in the world, assured all consumers "to remain claim, not to panic and that there is ample supplies to meet". "Yes, the market is well supplied, a balance has been achieved. But this balance is looking fragile largely because of actors outside our control," he said. Barkindo said the recently released OPEC's World Oil Outlook, primary energy demand, globally, is expected to increase by 33 per cent, or 91 million barrels of oil equivalent per day (mboe/d), between 2015 and 2040. "A massive 24 per cent of this anticipated increase will be from India, or 22 mboe/d," he said. "World oil demand is expected to increase by 14.5 million barels per day (mb/d), increasing from 97.2 mb/d in 2017 to 111.7 mb/d in 2040. India will account for oil demand growth of 5.8 mb/d, which represents an astonishing 40 per cent of the overall increase." India, he said, is projected to see the largest additional oil demand (3.7 per cent per annum) and the fastest growth in the period to 2040. "This impressive growth reflects the remarkable transformation of the Indian economy during the forecast period. We estimate that India's economy will grow at an average annual rate of 6.5 per cent for the period 2017-2040. Real GDP is expected to surpass OECD Europe by 2035, and by 2040, it is anticipated to even surpass OECD America," he said. To meet the future needs of the world, the required global oil sector investment is estimated at USD 11 trillion by 2040, he said. From 2014 to 2016, world oil supply growth outpaced that of oil demand, with world oil supply growing by 5.8 mb/d, while world oil demand increased by 4.3 mb/d. This period saw freeze on investment in oil and gas production. "The multiplier effects of this contagion had the potential to wreak havoc on the future of the global economy, especially in developing countries. There can be no doubt about it, our industry was on the verge of catastrophe; a catastrophe that would have been devastating for producers and consumers," he said. OPEC, in cooperation with a group of 10 other non-OPEC producers, in December 2016 voluntary cut production with a view to "reintroducing stability to the market; stability essential for creating conditions conducive to attracting investment back to our industry," he said. The reintroduction of the long-absent element of stability led to the rate of inventory drawdowns being reversed and industry optimism and confidence abounds, he said. "A combination of monetary tightening of the G4 central banks, weakening financial situations in some EMDCs, rising trade tensions and ongoing geopolitical challenges in some parts of the world are thus challenging the growth trend," he said. G4 nations comprise Brazil, Germany, India, and Japan. EMDCs is Emerging Markets and Developing Countries. Stating that the market is currently adequately supplied and well-balanced, he said for 2019, there is the potential for an imbalance, due to larger growth in supply.